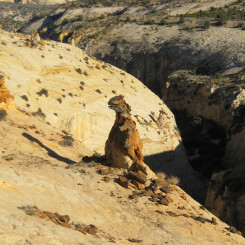 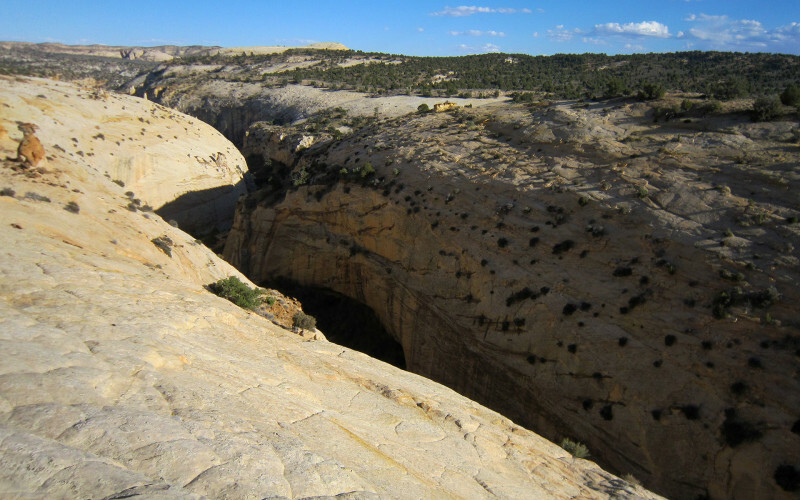 Stone Donkey Canyon – Across Utah! 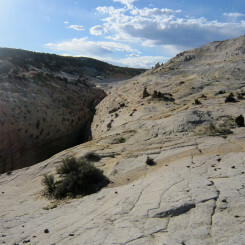 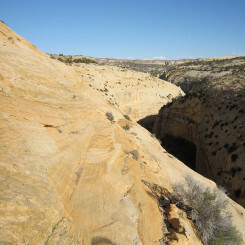 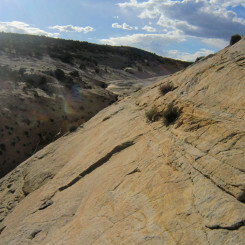 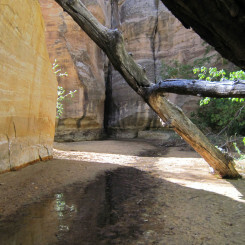 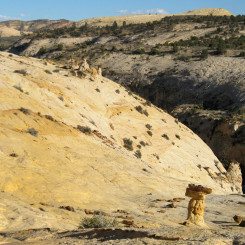 Stone Donkey Canyon is a short tributary to Hackberry Canyon in the Grand Staircase-Escalante National Monument. 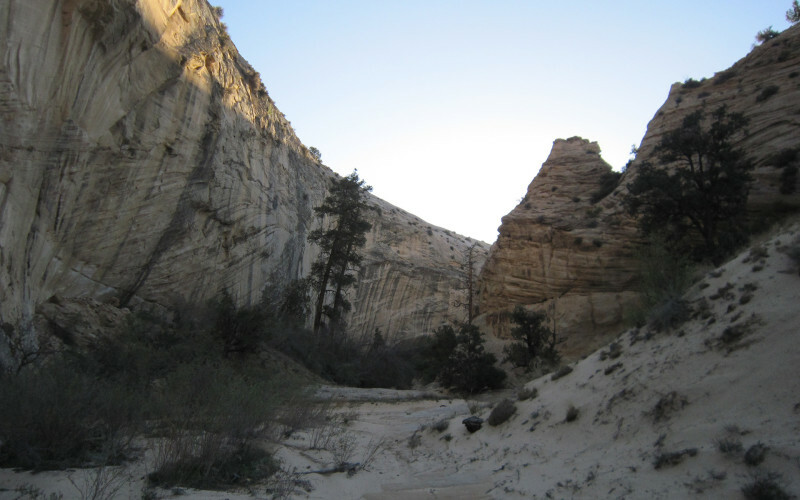 It’s a short diversion for anyone hiking Hackberry including those on the Hayduke Trail. 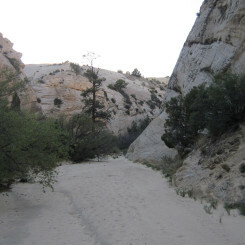 It’s easy to miss the junction with Hackberry as it’s extremely overgrown. 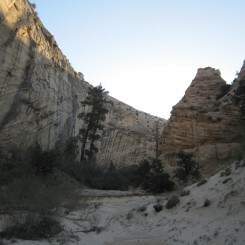 Once through the initial wall of vegetation it’s not that bad, through it remains somewhat brushy until past the spring in the lower end of the canyon. 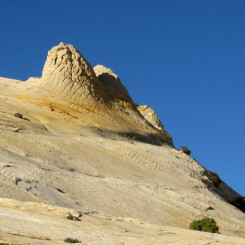 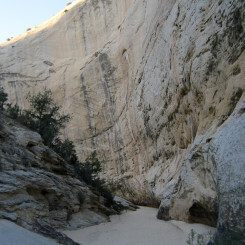 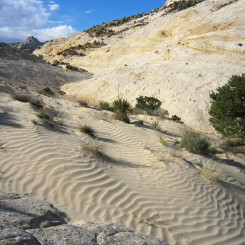 It’s dries up above the spring and then the middle portion of the canyon features a white sandy corridor walled in by tall Navajo sandstone. 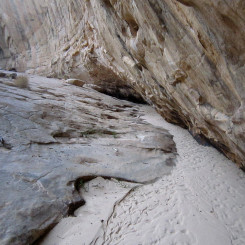 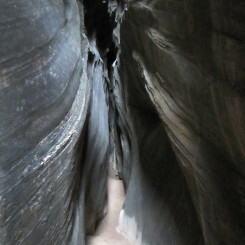 In less than two miles from the Hackberry, Stone Donkey narrows down into a tight, dark slot canyon. 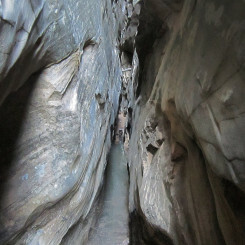 The slot can can be explored from the bottom, or via a technical route from the top. 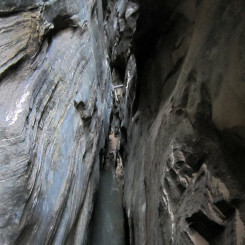 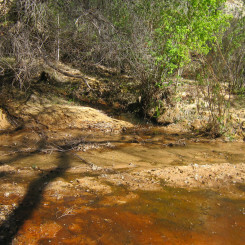 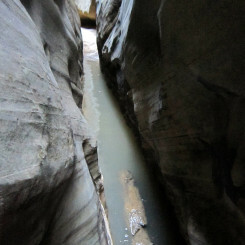 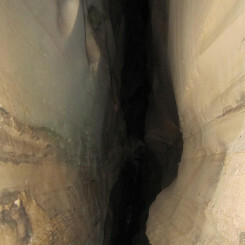 The canyon frequently has pools at its lower end and can be nearly pitch black in one section. 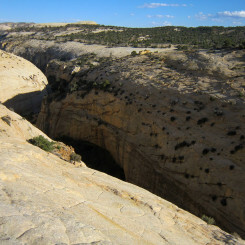 To access the top of the canyon one must backtrack to the middle of the white corridor section and find the lone exit from the canyon on the northern side. 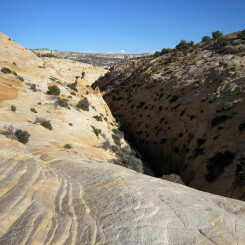 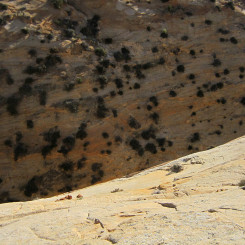 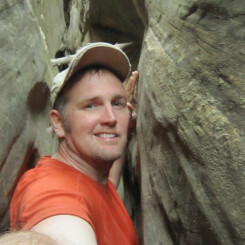 Climb up the steep gully and then follow the slickrock up and around the canyon as it forms a slot. 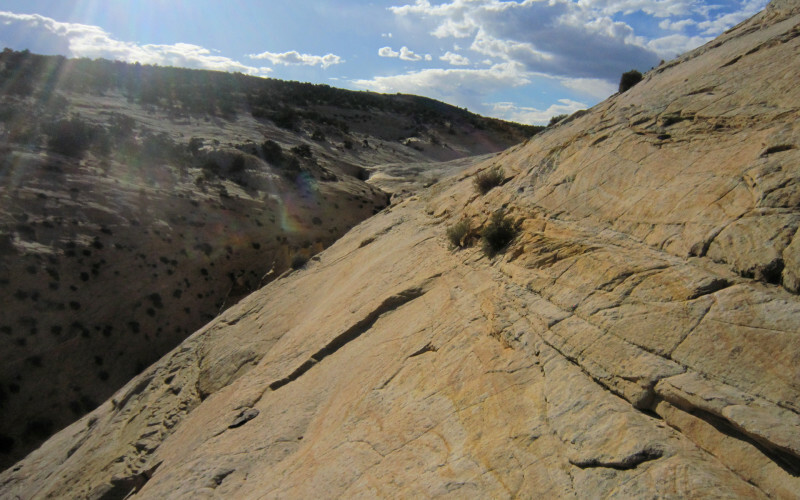 The last part of this route includes a semi-sketchy slickrock traverse and is not advised for those with fear of falling/exposure. 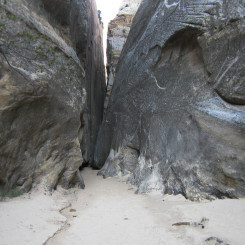 A longer/higher route could be possible which might not be as scary. 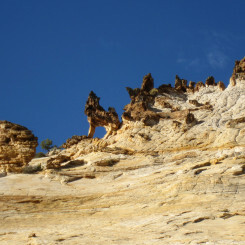 Several interesting rock formation are in this area. 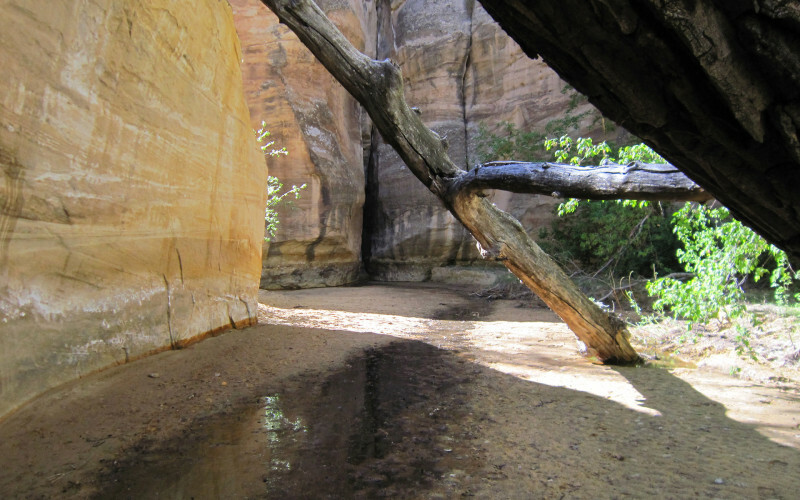 From above the slot one can continue following the wash toward the colorful sandstone near upper Snake Canyon or go cross-county where it’s possible to connect to upper Hogeye Canyon and descend to the Upper Paria.